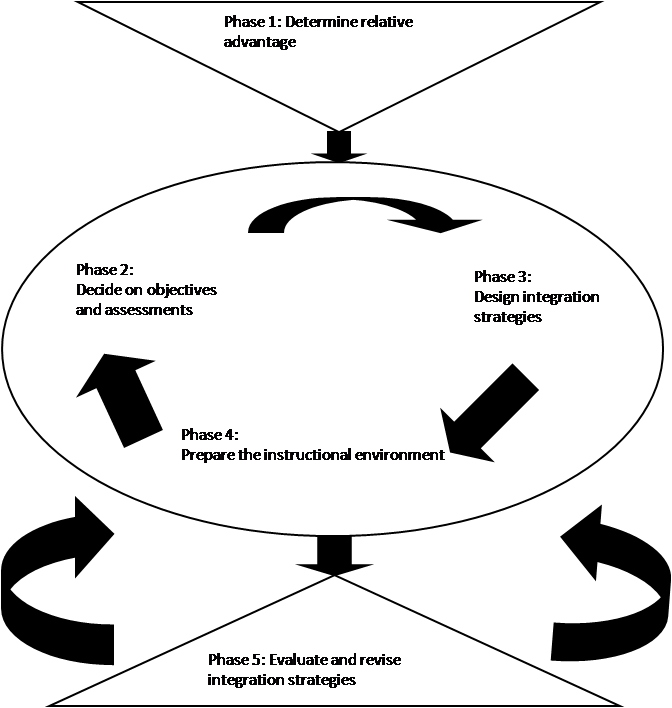 The Technology Integration Planning (TIP) Model was designed to give teachers a systematic way to address the challenges involved in integrating technology into teaching (Roblyer, 2003). By carrying out the steps in each of the model’s five phases, teachers perform a set of planning, implementation, and assessment activities that help assure their technology use will be both efficient and successful in meeting the needs they have identified. The TIP Model has 2 distinct phases:1. Enhancing – the provision of some form of relative advantage. 2. Changing – the ability to do something new, something not previously possible. I love this adaption of the model provided to us in the learning path because I can relate to it when I am using the backwards design process. 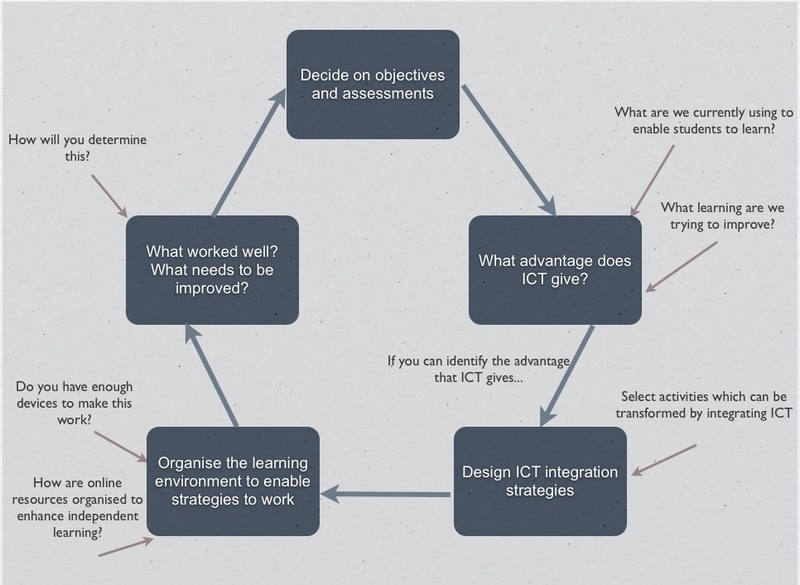 It was created by Mike Wheadon in his blog post The Technology Integration Planning Model. Then I noticed that Aspen from My journey- Learning and teaching using ICTs explored the model even more in her post Technology Integration Planning (TIP) Model. During her research she found this site http://bookbuilder.cast.org/view_print.php?book=32768 which has another fantastic graph worth remembering and referring to. Phase 2: Why should I use a technology-based method? Phase 3: How will I know students have learned? Phase 4: What teaching strategies and activities will work best? Phase 5: Are essential conditions in place to support technology integration? Phase 6: What worked well? What could be improved? « Prac, Prac, Prac, Prac!! !